A person that completes an Islamic pilgrimage (called a hajj in Arabic) to Mecca is known as a mustati. This card is given to them once they arrive home. 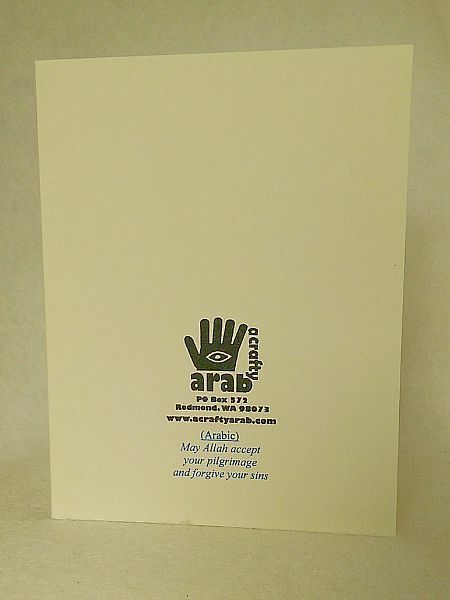 In Arabic, it says 'May Allah accept your pilgrimage and forgive your sins " and it's written on vellum which has been added to a shiny heart tag. 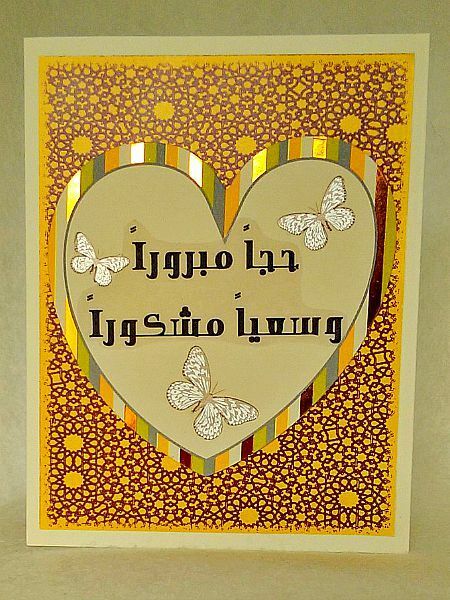 Silver farasha (butterflies in Arabic) have been added to the heart, which was then placed over a yellow and brown arabesque background. 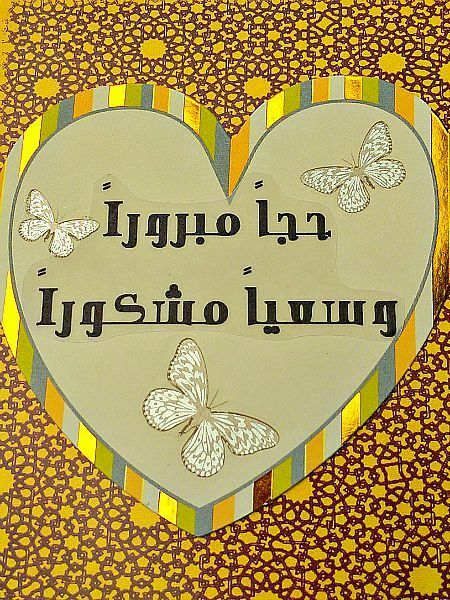 This is an Arabic card, so it opens left to right. 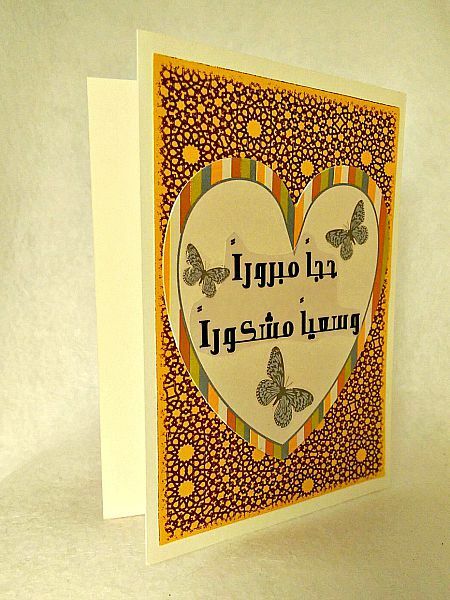 Shukran (Arabic for thank you) for checking out my shop.